Book your reservations today for our 3 course all day menu. Don't forget to pre-order a Golden Goose Egg to surprise your family & friends! All orders due by April 18th. 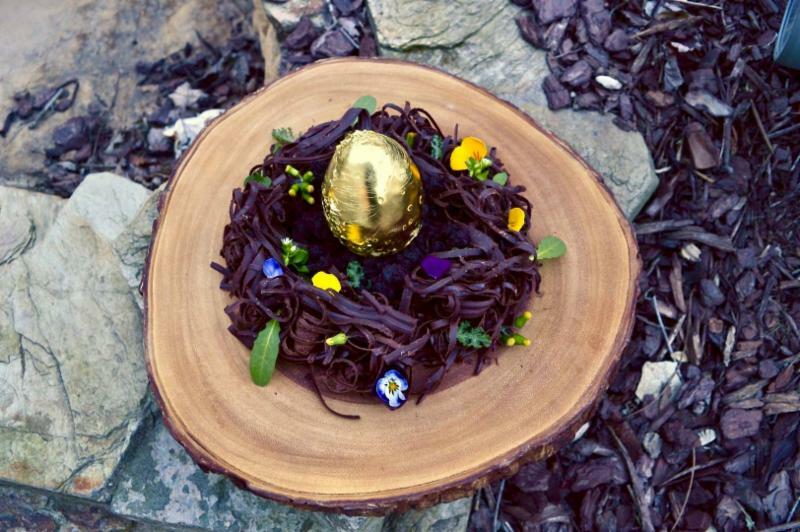 Pre-order chef Meagan Tighe's Golden Goose Egg as an additional sweet treat to be presented at the end of your meal! As featured on the Food Network (View Video Here), the egg is made from white chocolate and silky coconut mousse encasing a passion fruit and mango “yolk” dipped in a white chocolate shell and coated in 24 karat gold leaf on a bed of bittersweet cocoa cake in a “nest” of hand-shaved chocolate.